During your trip to Ecuador, one of your essential visits should be the city of Otavalo which is located in the province of Imbabura. Otavalo owns an enormous cultural and historical wealth, since this is a territory that welcomes the Kichwa nationality of the Otavalos. In addition, Otavalo has great scenic and natural riches. Quito Tour Bus, in association with Best Trip Ecuador, invites you to visit the most touristic city of the province of Imbabura. This is why Best Trip offers you the Tour Otavalo, which lasts approximately ten hours. 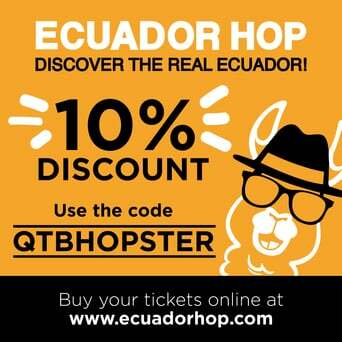 It leaves Quito, every Wednesday and Saturday. 08h05. Quinde Visitors Center. This stop is located between the Venezuelan and Espejo Streets. It is specifically in the “Plaza Grande” in the Historic Center of the city. 08h25. “La Mariscal” / “Plaza Foch”. This stop is on Reina Victoria Street between Calama and Mariscal Foch. 08h50. United Nations Bulevar. Located on United Nations Avenue and Shyris Avenue (Opposite to “Banco del Pacífico”). 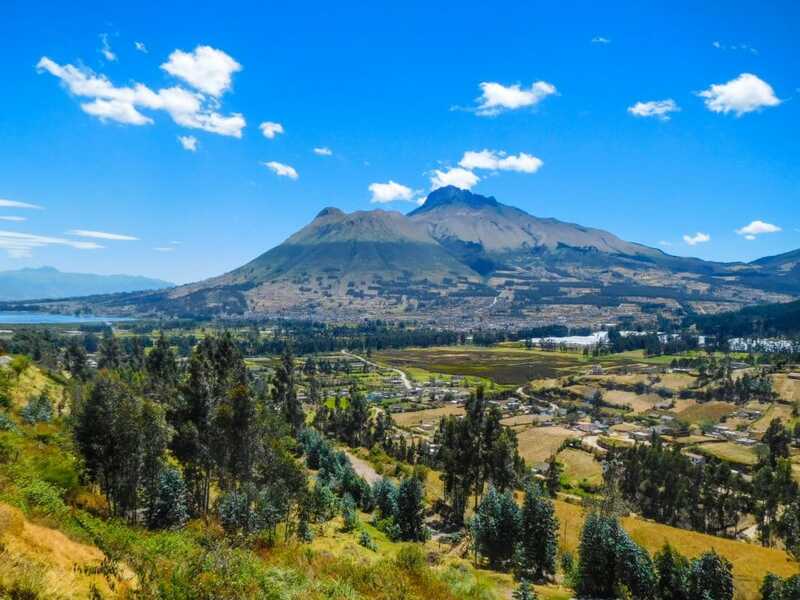 Tour Otavalo offered by Best Trip Ecuador includes activities such as a visit to Quitsato Solar Clock and San Pablo Lake viewpoint. In addition, you will make a boat ride in the Cuicocha’s Lagoon. In Otavalo you will know the popular “Plaza de los Ponchos” and Peguche waterfall. Now we will tell a little bit about them. This is one of the best-known squares in Ecuador and the most important in Otavalo, not only because it gathers handicrafts from the area and from other parts of the country, but also because this place is surrounded by color. All over this place, you can find jewelry, wool clothing, blankets, musical instruments, among others. 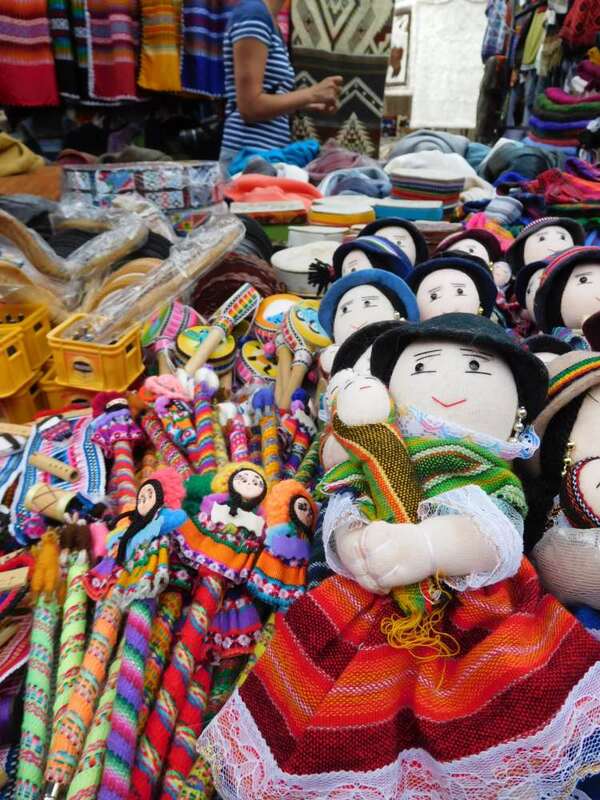 These creations come from various cultures and areas such as Cotopaxi, Chimborazo, Napo, Loja, and Manabí. Their prices are comfortable and ‘dribbled’. You can also find fruits, vegetables, grains, and typical dishes such as hornado, potato tortillas or tender cooked corn. 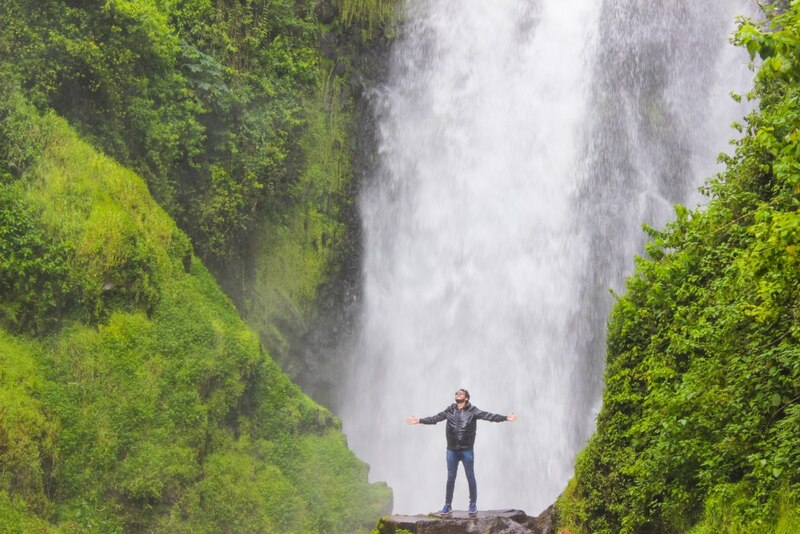 Peguche waterfall is located in the community of Faccha Llacta, 1.5 km from the community of Peguche and 3.3 km from the city of Otavalo. It is located at a height of 1821 meters above sea level and has an average temperature of 12 ° C. This waterfall is 30 meters high and 6 meters wide and forms on steep slopes. During “Inti Raymi” festival, Peguche waterfall is the ceremonial center in which the purification ritual takes place. The passengers will return to Quito at approximately 6:30 pm. The bus will make the necessary stops at the same boarding points. 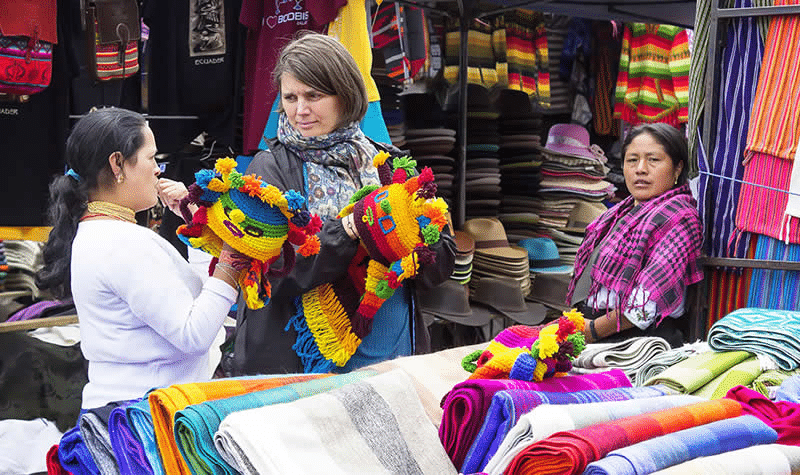 To see the detail of all the activities during this tour, you can go to our link: Tour Otavalo. How much does this tour cost? USD 60 for adults (nationals and foreigners) who are over 12 years-old and under 65 years-old. USD 40 for children up to 12 years-old, seniors (65 years of age and older) and people with disabilities (it will be necessary to present identity documents). What do we recommend you take for this tour? We recommend you to wear sunglasses, a cap, a coat, and comfortable shoes. You should take with you sunscreen, a camera and insect repellent. In addition, we suggest that you bring your passport to be sealed during the visit we made to the Solar Clock Quitsato, which is part of the tour. What to do during Holy Week and Easter in Quito?